Look no further if you want a fabulous home in 4S Ranch & the highly acclaimed Poway School District, featuring 6 bedrooms plus a den & 4150 sf! Beautifully upgraded throughout with gorgeous hardwood & travertine floors,plantation shutters,huge gourmet kitchen with eating area & built-in desk, spacious master suite with views & large upgraded bath, dramatic staircase, full bd/ba down, solar(owned) w/ability to charge an electric car,lots of natural light & much more! 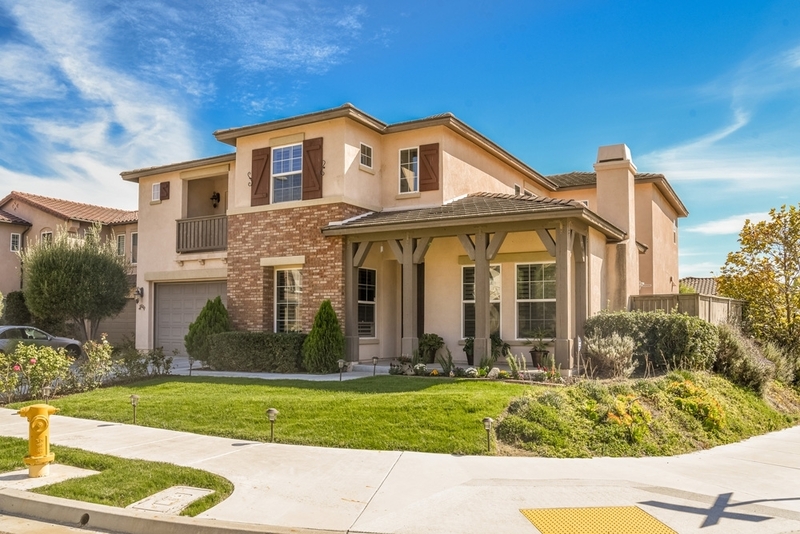 Perfect for multi-generational living., This wonderful home is conveniently located near shopping, restaurants, numerous parks, freeways, & walking distance to the water park. You will love the lifestyle that 4S Ranch has to offer! Upstairs you will find 5 bedrooms, all with walk-in closets. One features a space with internet connection that would be perfect for a study area or library, another offers a balcony. The laundry room is huge and offers plenty of storage cabinets, marble tile & sink. The downstairs bd is privately located off the family room, perfect for guests. The den/office near the front door offers numerous possibilities such as a music room or library. The dining room currently has a closet that would be a perfect wine cellar. There are UV tinted windows throughout. Enjoy mountain and evening lights views from upstairs. Numerous windows offer lots of natural light. Located on a corner lot with a spacious backyard offering privacy & plenty of room to relax, play and entertain.